Do Lentils & Rice Have Calcium & Magnesium? White rice offers more manganese, but less selenium, than couscous. 2 Do Lentils & Rice Have Calcium & Magnesium? Couscous and white rice both make up part of the grain food group, and a cup of cooked regular couscous or white rice counts as two ounces of refined grains. Both foods also provide several grams of carbohydrates -- a type of nutrient your body uses for energy -- and offer similar amounts of vitamin B-3, calcium and magnesium. However, they also have nutritional differences when it comes to a few specific vitamins and minerals. White rice provides much more vitamin B-9, also called folate or folic acid, per serving compared to couscous. Getting enough B-9 in your diet helps you produce red blood cells, a type of cell essential for oxygen transport. It also helps you process nucleic acids -- the chemicals your cells needs to make DNA -- and amino acids, the chemicals needed to make protein. 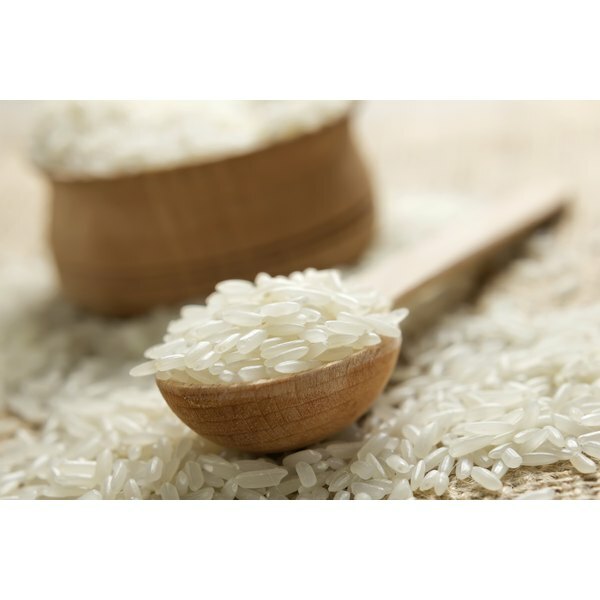 A cup of cooked white rice contains 153 micrograms of vitamin B-9, which is 38 percent of the recommended daily intake. An equivalent serving of cooked couscous contains just 24 micrograms of vitamin B-9, or 6 percent of the recommended daily intake. White rice also serves as a superior source of manganese, compared to couscous. Each 1-cup serving of cooked white rice boasts 0.75 milligram of manganese, which is one-third of the recommended daily intake for men and 42 percent for women. A cup of cooked couscous, in contrast, provides you with just 0.13 milligram of manganese. 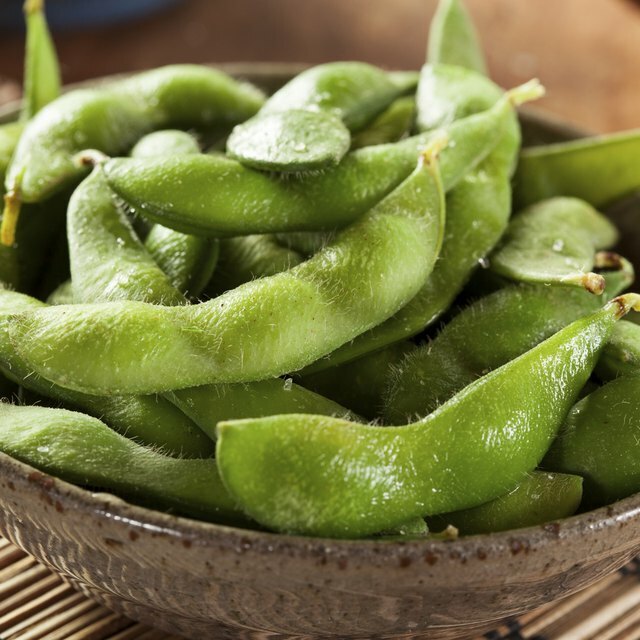 A diet rich in manganese offers several health benefits, including improved wound healing, support for bone development and connective tissue strength. Manganese also helps you feel energized, because your cells can use it to support your metabolism. Couscous offers much more selenium per serving than white rice. Your body uses selenium to make an amino acid, called selenocysteine, which gets incorporated into your cells' proteins. This selenium supports the male reproductive health by aiding in sperm production, and it regulates your metabolism by controlling the activity of thyroid hormones. Couscous serves as an excellent source of selenium, offering 43 micrograms, or 78 percent of the recommended daily intake, per 1-cup serving. White rice contains significantly less selenium per cup -- 12 micrograms, or 22 percent of the recommended daily intake. Use white rice or couscous as a base for salads, and mix in chopped veggies, fruits, herbs and nuts to add nutritional value and texture. Combine couscous, mint, chickpeas, chopped red pepper and pine nuts for a flavorful dish, or mix white rice, chopped cucumbers, tomatoes and parsley with a lemon vinaigrette for white rice tabbouleh. Alternatively, serve rice or couscous cooked in no-sodium broth for a simple-but-tasty side dish. Note that while white rice and couscous both contain beneficial nutrients, they pale in comparison to whole grains when it comes to nutritional value. Whenever possible, reach for healthier options, such as brown or wild rice, or whole-wheat couscous. Making the switch can help lower your risk of cardiovascular disease, notes the Linus Pauling Institute. USDA ChooseMyPlate: What Counts as an Ounce Equivalent of Grains?